These striking earrings are part of the Druzy collection, which celebrates natural beauty with an eclectic mixture of colours and textures. 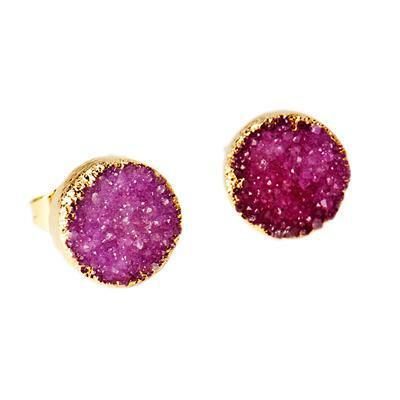 Crafted from Agate and electroplated in Gold, these studs feature sparkling facets and pink hues. Versatile and eye-catching, these studs add a splash of colour to any ensemble and is the perfect piece to welcome in summer.